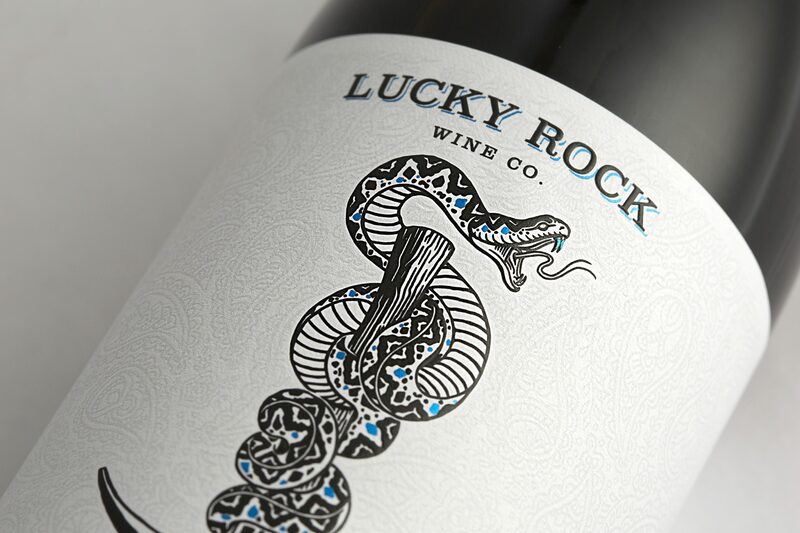 Unique Wine Label Design for Lucky Rock Wine Co. 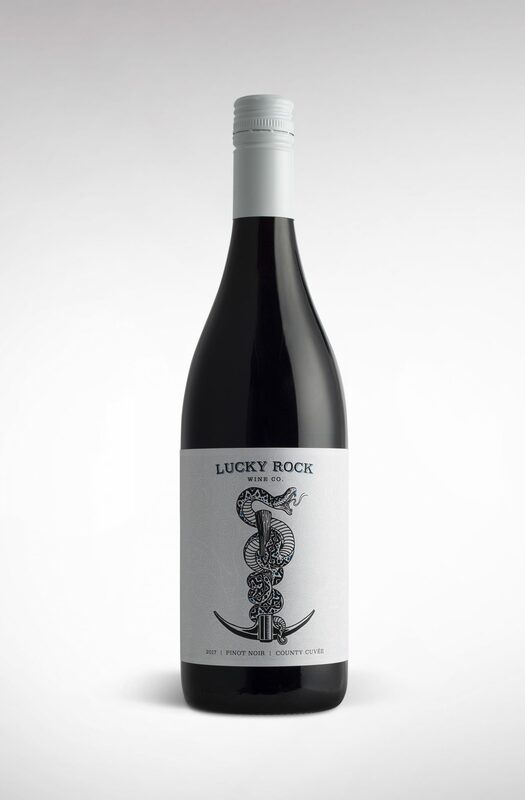 The founders of Lucky Rock Wine Co, Aaron and Jesse Inman, came to us looking to create a look for their Pinot Noir that broke the mold for what a premium wine should look like. Having grown up in a mining family, they were looking for a label that could communicate their unique background while still reflecting who they are today. As individuals, they believe strongly in forging their own path and staying true to who they are. Given their affinity for tattoos, it was a no-brainer to tap into that graphic language to create a bold, distinctive look that will deliver maximum shelf impact. 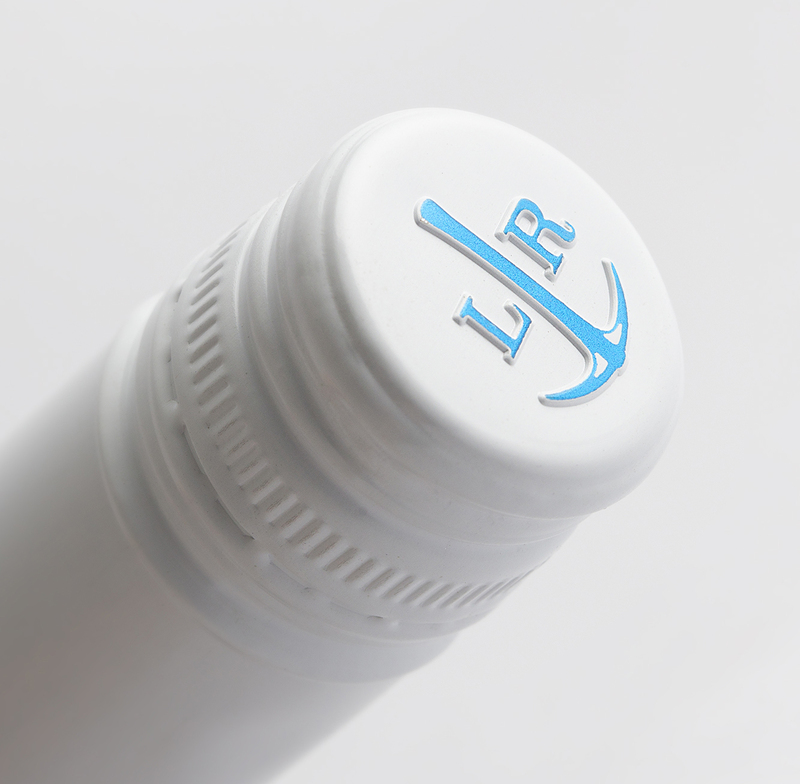 Upon further inspection, the consumer will notice the intricate illustrative nuances and next-level production techniques that signify the attention to detail that goes into every drop of Lucky Rock Pinot Noir.